Some commentators think that the transgression that Paul is referring to here is one or more than one of the “works of the flesh.” But I can’t help but ask if Paul might be dealing specifically with the Judaizers who have missed the mark of God’s true Gospel and had derailed the believers from their position on the tracks of God’s grace. Either way of course the exhortation is to restore them to their rightful position and to restore them “gently.” The goal of all misunderstandings among believers is reconciliation. The goal in every disagreement doesn’t necessarily have to be complete agreement. My wife often reminds me that if she agreed with everything I said there would be no need for her. I must admit then that she is not only valuable in that regard but also she is absolutely essential. We do need each other in many ways. 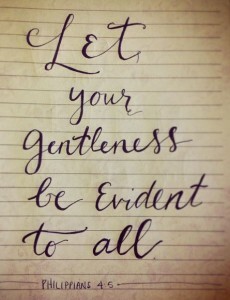 Gentleness is crucial here in this exhortation because to do otherwise would be to succumb to the “works of the flesh.” It would be to give way possibly as Leroy Lawson puts it to “hatred, discord, jealousy, fits of rage, selfish ambition, dissensions, factions” or any of the other works of the flesh.” Instead we want to “produce” (agriculturally speaking) the fruit of the Spirit which is love manifested in our lives as joy, peace, patience, kindness, goodness, faithfulness and self-control.” Of course for those of you who have memorized this list you noticed that I left out a very important one. 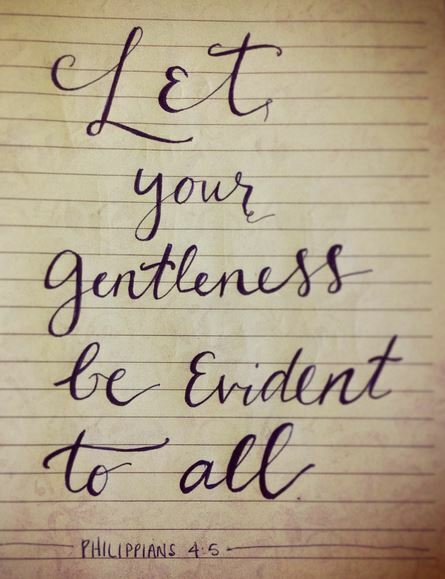 It was “gentleness.” Paul goes on to warn us of our own frailties and proclivity towards the works of the flesh in the rest of the verse when he says, “Keep watch on yourself, lest you too be tempted.” The awareness of one’s own vulnerability makes for a gentle correction. John Butler relates a story he once heard. There was “a pastor who needed to visit a sinning member for the purpose of restoration and wanted to take a deacon with him. To choose the deacon, he asked each of the deacons if they would have committed such a sin. All answered with an dogmatic ‘No’ except one who said he wasn’t sure but that given the same circumstances, he may have sinned, too. The pastor said to that deacon, you are the one who I want to go with me to visit this sinning member. It was that deacon who had the right attitude to do the restoring of the sinning member.